Includes in-game item and Heroes of the Storm character. 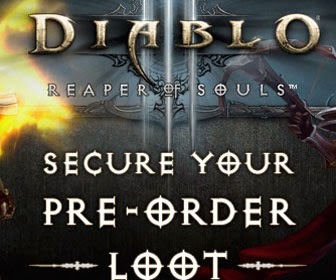 Diablo III: Reaper of Souls pre-order bonuses have been revealed, and are set to include an in-game item and a character unlock for the upcoming Heroes of the Storm. 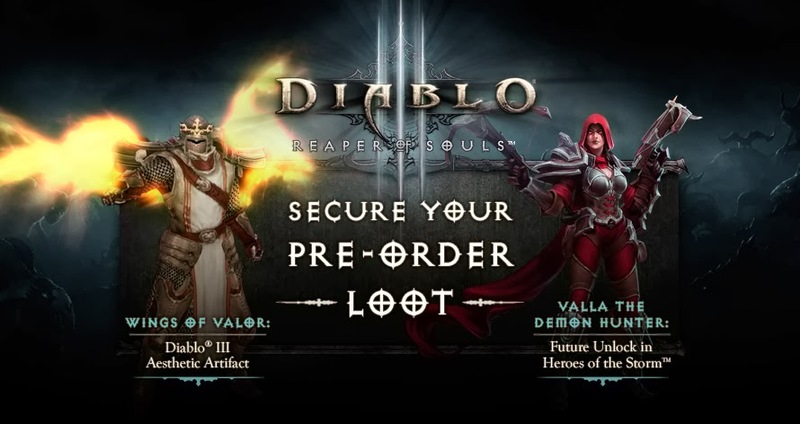 Blizzard has confirmed that pre-purchasing the game on Battle.net or redeeming a retail game key before March 31 will net you both the Wings of Valor, and access to Valla the Demon Hunter. While the Wings of Valor will provide an aesthetic effect for your characters in Diablo III from March 20, access to Valla will be granted once Heroes of the Storm launches. Though we know exactly when Reaper of Souls will be available, there's still no news about when we'll get our hands on Blizzard's team brawler. The Collector's Edition of Diablo III: Reaper of Souls was also announced recently, and includes a wealth of goodies to be used across this and other Blizzard titles.